Planning? We don’t need no stinkin’ Planning! One major difference that I’ve noticed between Dubai and the US is a difference in planning. For example, I wanted to see when a particular TV show would be appearing so I could watch it. We get a small “TV-guide” type booklet from our satellite provider (providing we go pick one up. *sigh*) with a listing of times and shows. Now, shows here aren’t exactly scheduled, they may start at 735, or at 1615, or even 1210. They don’t start on the hour and half-hour. But the booklet’s nowhere close to what’s showing up on the TV screen……lol. So planning your TV viewing is a challenge. Shopping papers, sales ads, or grocery fliers – you may get one the day the sale begins, or the day before. Not like in the US, where most of them will appear on a Wednesday, with sales beginning on the weekend. Gives one time to plan out meals and budget. 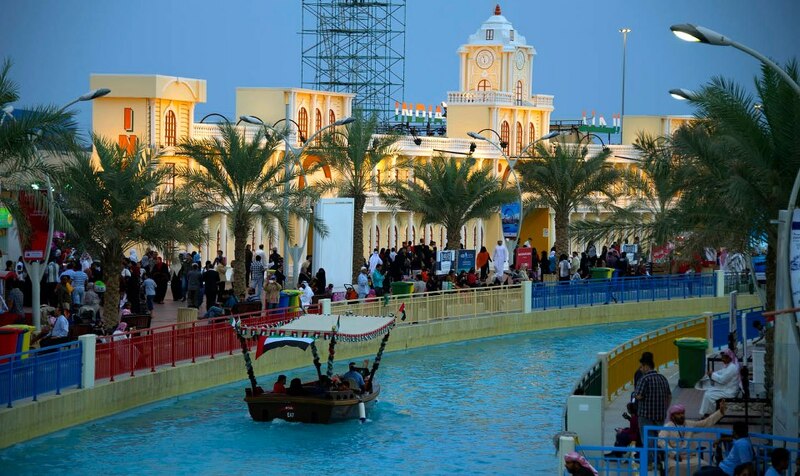 Recreation can be dicey too – there’s a really interesting looking entertainment complex called Global Village. It’s got tons of cultural exhibits, amusement-type rides, shopping, dining and performance venues. I had read about some cool-sounding dance exhibitions, one Egyptian, one Jordanian. I wanted to plan a trip to Global Village to see them. I checked their website, http://www.globalvillage.ae which routed me to their facebook page. I didn’t find a schedule, but I found a phone number -, so I called to ask when I might be able to see these dancers. The conversation went something like this….. So. If we want to see these dancers, we have to check their online schedule daily, or “the twitter” to see if they’re performing. Because they publish the schedule in the morning for that day’s events, “so as not to cause confusion” according to their facebook page. My solution? We’ll just pick a day to go. If the dancers happen to be performing, it’ll be a happy bonus…. If not, no worries! That place looks way cool! Hubby and I would have to make sure we had a stock of Zantac/Nexium/Pepto handy before we ever walked through the gates! Good luck with finding your Egyptian and Jordanian dancers! LOL…. Yeah, Jenn, we’ve sort of learned to be happy if something happens, and not to worry if it doesn’t. Amazing sense of non-urgency here – unless things escalate to the point of almost critical, there is no need to act quickly. Odd to my American self, but totally acceptable here, Hey, nice to know you’re out there reading, thank you!! So, did *the twitter* become your crystal ball of scheduling? LOL! I guess things are rather laid back there then? ummm…. “laid back”. Yes. That’s exactly what we’ll call it. I’ve just got to get better at ferreting out these events. Example, there was a falconry championship and exhibit here recently. I had no clue! How cool would that have been to have attended?? WordPress with a bit of a customized theme called Matala…. here’s the info from the bottom of the page…..
Blog at WordPress.com. | Theme: Customized Matala by Nicolo Volpato. I’m sure you can google and find that same theme, and many others. I’m a baby blogger, pretty new, and it was easy enough for me to figure out how to add the “theme” to the blog…. certainly there are lots more people out there that have a ton more experience with these things than me – but I’ll tell you what I know!